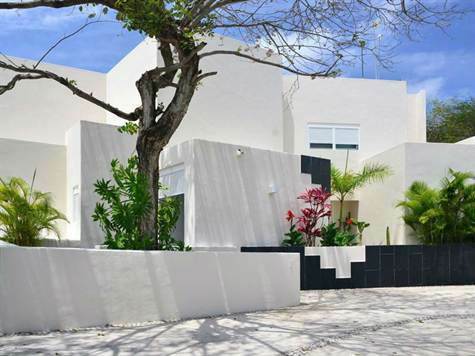 This beautiful contemporary residence located in one of Playacars exclusive communities in Pakal offers stunning spacious living space wand an amazing outside pool and garden area, with views to the golf course . 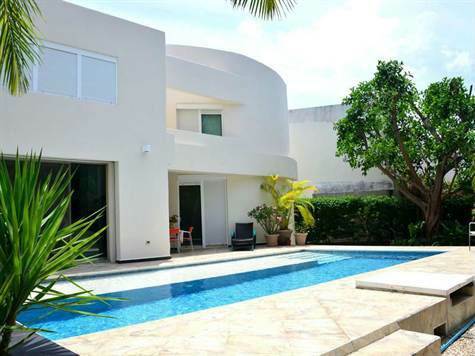 Due to its strategic location, it offers access to great city amenities in Playa del Carmen, while enjoying the beautiful beaches of the Mexican Caribbean just a few minutes away. 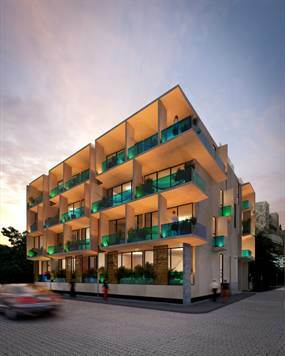 It is located in a privileged area, in an exclusive development with monitored surveillance 24-hours a day. 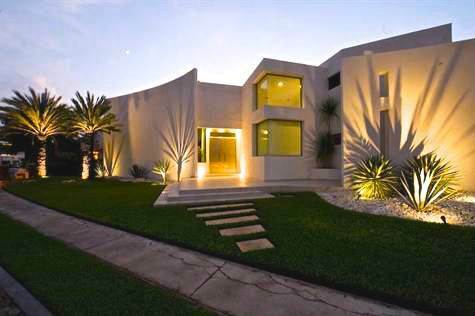 The home is fully furnished and has 4 bedrooms all with private bath and walk-in closet. The master suite is located on the ground floor while the three remaining are all located on the second floor. Its architectural accent is present in every corner of the residence including its entrance, living room, study, main staircase, TV room and game room. 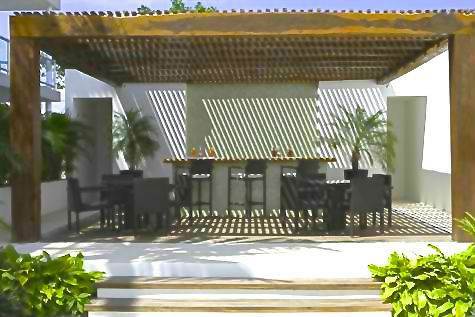 Great news from the Playa del Carmens Real Estate group, if you have not found your amazing dream home yet, then this is the your year for new beginnings, in your new home, in a new development complex in Playa del Carmen. 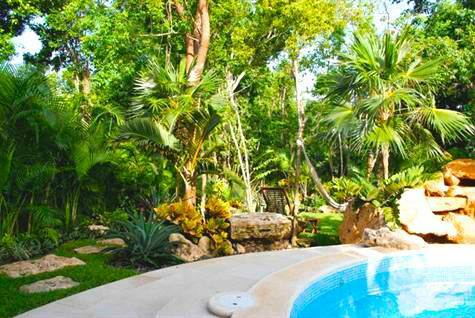 If you are looking to buy at the best price a 2 bedroom Condo close to the beach in Playa del Carmen, this is the place where you want to be. 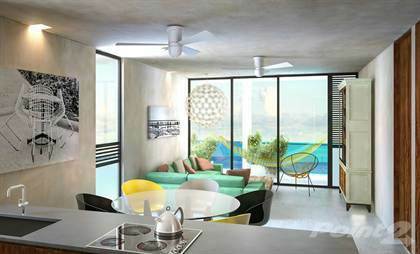 One of Playas top developers just started their newest project, just a block off the beach. You can see the ocean from the rooftop pool better than from anywhere else in the neighborhood. If you want a 3 bedroom condo in the same building, check with us!! 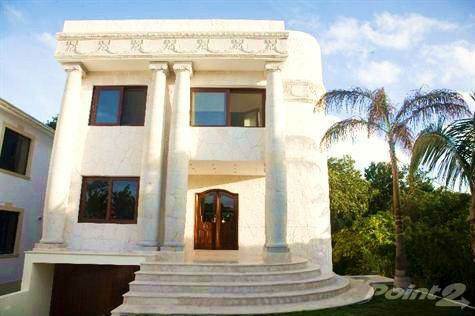 410,000 USD only, unheard of in this area!!! 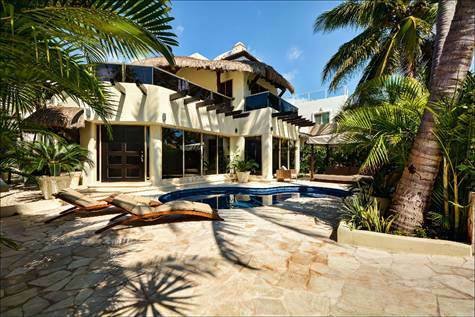 Located in in one of best spots for Real Estate Playa del Carmen, you can walk to the beach and enjoy the Mexican Caribbean. This custom designed top quality home with attention to detail has double high ceilings in the entrance and living/dining mid section with 3 bovedas incorporated in the construction. Three bedrooms and three bathrooms on the 2nd floor. The ground floors and bathroom counters are of marble, the kitchen counters are granite, the top floors are all caoba tropical hardwood. All the windows and doors are hurricane proof 12mm glass with the protective film. A complete 1 bedroom basement apartment with a full kitchen and living room. Maids quarters also with kitchenette and bathroom. A 1 car basement garage with a proper storm drainage system. State if the art water softener and filtration system. 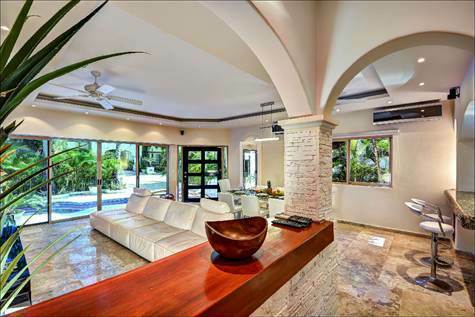 There is access to a tennis court in the back yard and a short walk to the community pool and the pristine Carribbean beach a short stroll away. Extra advantages to living in Playacar is that you are less than 1 mile from the private Playacar beach of soft white sands and turquoise Caribbean blue waters and you have use of the community tennis court, and the Reef Hotel Beach Club access. Also a bike/running path throught Playacar and an 18 hole golf course. 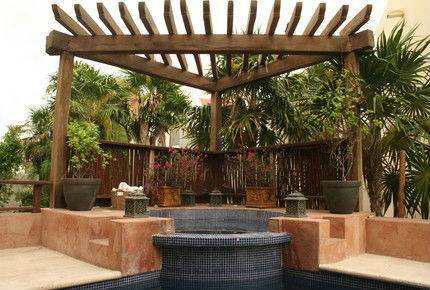 It has four large bedrooms which feature beautifully designed ensuite bathrooms. The living area features large windows overlooking one of its two pools. The house also features a contemporary kitchen with every amenity necessary to enjoy great meals in the comfort and privacy of this beautiful property. 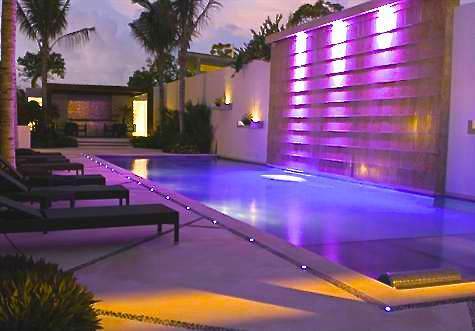 This luxury villa also features a home theater, two terraces one in the first floor with a barbecue and a sauna plus an incredible rooftop terrace/solarium with a pool with a magnificent view of the Caribbean Sea. Rooftop bar with music hook ups seating area. State of the art entertainment system in movie room.